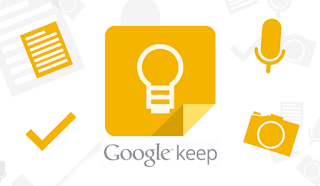 Google Keep has recently been transformed into a core service and released to all Apps for Education customers. Keep allows you to easily add notes, lists, audio and photos into their app. The app is available on multiple mobile platforms, on desktop browsers as a web app as well as a Chrome Extension. There is very little configuration required in the Admin Console as it is either On or Off for some or all. 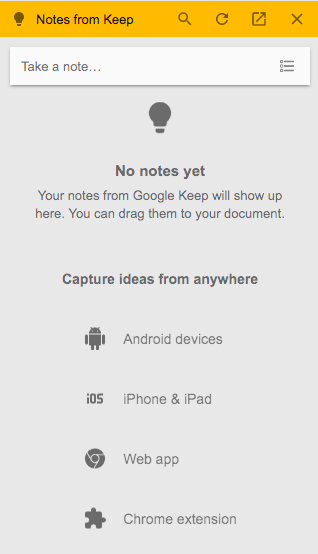 The most unique feature of Google Keep is the ability to utilize the Keep notepad directly within Google Docs. While in a Doc, go to Tools>Keep notepad and the sidebar shown below will appear and allow users to create new notes or pull in notes that were previously saved in the Google Keep app. Eric Curtis discusses, on his blog, a very unique use of this new feature to populate frequently used comments in student work.